Listen to M.O.’s new single Preach! Seriously, how cool are these girls though? 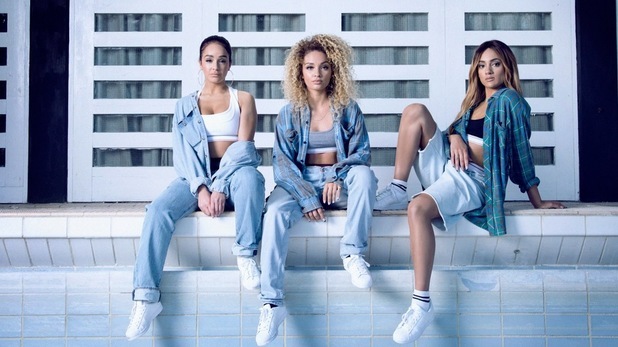 Meet your favourite, new girl group – M.O.! M.O. are Brit trio Annie, Frankee and Nadine and we’ve been fans of these girls for a while, after they supported Little Mix on their Salute tour last year! They’ve just unveiled the video for their new single Preach, which is out on May 3rd! Which member of Little Mix are you? Click here to find out! It’s a proper good bit of pop loveliness and the three look super cool in the video too! We can’t wait for these girls to hit the big time as we reckon there’s definitely the need for another big girl band – and these are brilliant!